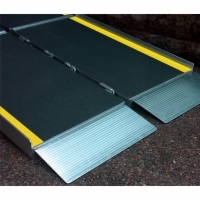 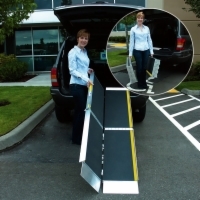 What makes a 10' Tri-Folding Ramp different? 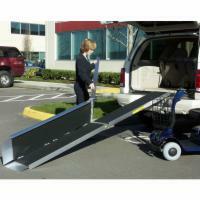 Separates into two sections, each with their own carrying handle, for easy transportation and storage. 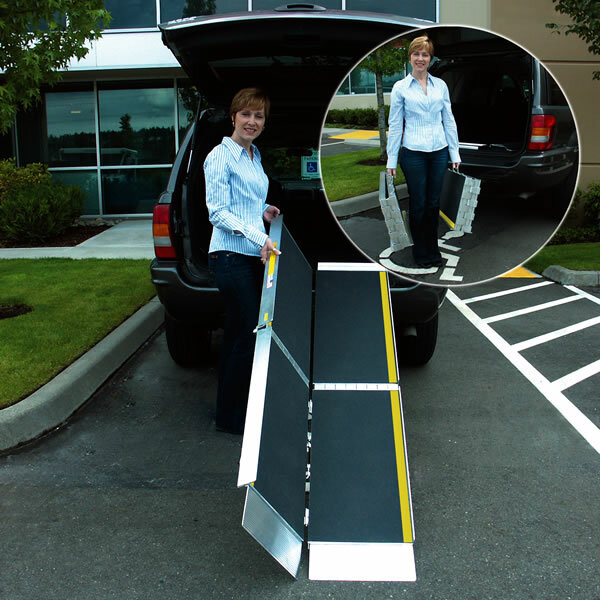 What are a 10' Tri-Folding Ramp's strong points? 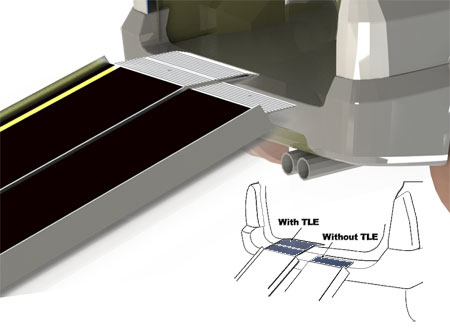 Folds length-wise and width-wise for ultra compact storage, self-adjusting bottom transition plate, 800 pound capacity, non-skid surface coating, aluminum construction.